The Vanvisa Guesthouse is located in Luang Prabang making it one of the best hotels to stay at while in town. The Vanvisa Guesthouse boasts a convenient location with modern amenities in every guestroom and superb service. The guestrooms are equipped with air conditioning, desk, internet access (wireless), television, shower, satellite/cable TV, complimentary bottled water, wireless internet access (complimentary). Hotel facilities offered at this Luang Prabang accommodation include laundry service/dry cleaning, room service, safety deposit boxes, hotel/airport transfer, tours, Wi-Fi in public areas, car park. 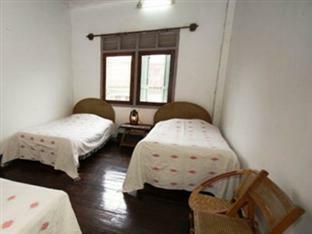 The Vanvisa Guesthouse provides a warm and welcoming service of international standard. For your reservation at the Vanvisa Guesthouse Luang Prabang, please choose your period of stay and fill out our secure online reservation form.